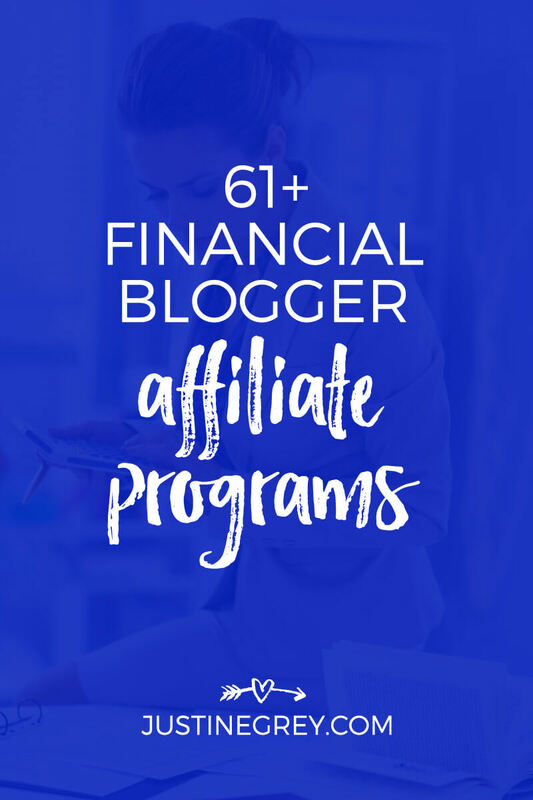 Not only do they pay above average commissions compared to other program categories, you don’t need to be a financial blogger to get in on the profit party because money conversations are relevant in pretty much every blogger's life. Let me know if I missed any of your favorites. 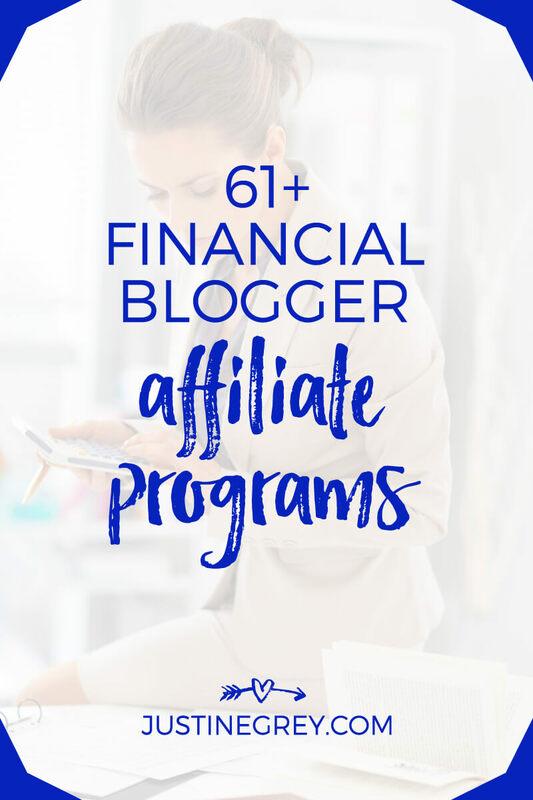 Which financial affiliate programs will you be joining? Do you know if Fidelity Investments or Vanguard or investment houses offer affiliate programs? I’m looking all over and cannot find any information on them. Hey Denise – I don’t believe they do, although you should email them to confirm because sometimes they have invite-only or private programs you could score access to just by asking 🙂 I’ll be doing another update on this post soon so will try to find a few more in that category for you. One that you might want to look at is Betterment, which you can find through FlexOffers. Those two don’t but there are big investment companies that do have affiliate programs. I Googled ‘Affiliate programs Roth IRA” and looked for names I trusted. Interesting, thanks for sharing! This list is cleaned up and expanded a few times a year so I’ll definitely add more soon. Hi Justine – Thanks for a great post. Any idea how to apply to the discover program? The link leads to a page listing their cards with no affiliate program info. Its tough to find out but about other fiancial products such as a savings account, checkings account or a 529 savings plan for example? Do these products generate affiliate fees? Anyone experiences? 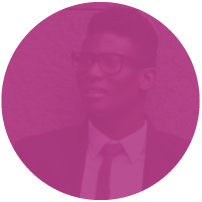 Hi Clemens – I totally agree with you: the financial affiliate industry is tough to gather information on. If you aren’t seeing information on their website, your best bet is to email the companies you want to work with directly and ask them if they have a program. If they do, you can get clarity from their affiliate manager on what is eligible for a commission. 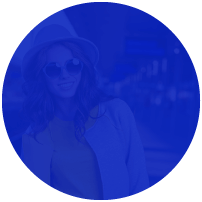 There definitely ARE commission payouts on things like savings and checking accounts, but usually it’s a much smaller payout compared to a credit card or investment product. Hope that helps – best of luck! I’m an insurance agent with a Facebook presence and was wondering if the affiliate programs are “allowed” or work with Facebook. I do not have a blog. Thanks. Hi Bryan – Yes many people use affiliate links on Facebook (remember to always disclose) and affiliate programs will accept you if you don’t have a blog. However you need to make sure your Facebook page / profile has posts/content related to the program you are applying to. Not every program will approve you without a blog but if you are up front about your intentions and have a winning profile, you will find many who will. Just a suggestion, I think it is better if you put some description about those. Hey Menard – thanks for the suggestion! This is something I’ve had on my to-do list for a long while so I’ll definitely be expanding these posts to include descriptions of each company. Stay tuned! Great list Justine, i will have to come back here to visit all these links! Do you have any idea about NiceUs financial affiliate program? Hey Frankson – I’ve never heard of NiceUs but I’m always wary of sites like this. 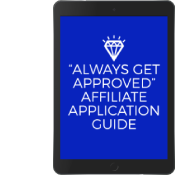 There are lots of legitimate sub-affiliate networks out there (such as Skimlinks, Viglink and Flex Offers) and smaller niche ones shouldn’t be discounted because they aren’t household names. However before joining any site like that, do some research to see what real people are saying. I found a few posts with questionable experiences, so I’d personally steer clear. You can find lots of financial programs with the sub-affiliate networks I mentioned above, without the worry. Best of luck! This is a really great list to get started with. If you are looking for a credit card processing affiliate you can check us out at BlessPay. We are the only company that has a program that can pay the business owner to process credit cards. I got some other good ones you could share :). Commission: $10 per funded account. Commission: $6 per new user who links a financial account. 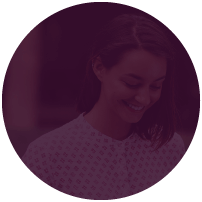 Commission: $100 per new user who links a financial account and has assests of over $100k. You rock Juan – thanks for sharing 🙂 I’ll get these added to the list! 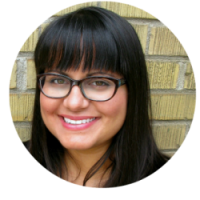 Hey Justine, thanks for your wonderful list and insights. Could you possibly provide me with some clues on how to find affiliate programs for savings and checking accounts? What I would suggest is going to all the top sites in your niche and in the finance niche in general. Look for content about checking and savings accounts and follow their links to see which are affiliate links. That’ll give you an idea of who has affiliate programs. Check their site for an affiliate program or if you don’t see one, try Googling or emailing them directly to see if you can set up a custom partnership. Sometimes banks don’t advertise their programs or have a formal one set up, but will have the ability to pay for referrals if you reach out and explain why you’d be a good fit. They may have minimum audience requirements, so just keep trying until you find one that’s willing to test it out with you.